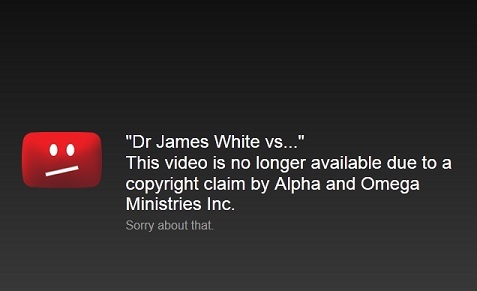 I recently listened to a May 7, 2010 debate between Robert Price, “The Bible Geek,” and James White of Alpha and Omega Ministries. The topic was “Is the Bible True?” If you don’t know the players, Dr. Price, of whom I’m a big fan, took the negative position. Dr. White repeatedly hit on the idea of consistency, as if that were the weak part in the atheist position. He urged the audience to check for this in each of the speakers’ presentations. I’m all for consistency, so I was happy to hear that, but is that really where White wants to go? To me, consistency is using the same criteria for evaluating things that you like or believe in (Christianity, in the case of White) that you use for evaluating things you dislike or reject (the other guy’s religion). A net that you cast into the Sea of Truth that is able to bring up Christianity will also bring up lots of other religious and pseudoscientific beliefs. Conversely, a net that rejects the nutty stuff will reject Christianity as well. As White says, we must be consistent. Unfortunately, I’ve never seen any set of criteria that will deliver what he wants. And speaking of presuppositions, this was another of Dr. White’s favorite issues. White said that a naturalistic presupposition that rejects any possibility of God participating in the world is a truncated view of reality. This seemed to me the old and rather tired idea that it’s not the Christian (who believes things on faith) who’s the closed-minded one; it’s actually the atheist. See, the Christian can accept either supernatural or natural explanations, while the atheist will only accept natural ones. This was an odd argument to make since Dr. Price, who spoke first, rejected the idea that he had a naturalistic presupposition as his very first point. Maybe White had this as a central part of his presentation and couldn’t bear to let it go even after Price made it irrelevant? Anyway, White brought it up several times, either misunderstanding or ignoring Price. Here’s my interpretation of the issue. You’ve got the person with the presuppositions. When you present him with evidence contrary to what he believes, he sticks his fingers in his hears and says, “La la la! I can’t hear you!” He’s closed minded. White and Price agree that this is bad. Then you have the person who has made a tentative conclusion, like Price. He’s saying that the evidence points to the gospel story being legend, but he’s not closed-minded. He’s made clear that he would be delighted to hear new evidence or new ideas. And if the weight of evidence shifts so that the gospel story becomes most likely true, he’d change his mind. So would I. White seemed to have a hard time with this distinction. Dr. White made another curious point. He rhetorically asked: What portion of the New Testament is taken up narrating supernatural events? His point seemed to be that most elements of the gospel story have natural explanations so there isn’t much to object to. I’ll grant that the supernatural fraction is small, but how is this relevant? As I’ve argued before, if you remove any supernatural elements from the Julius Caesar or Alexander the Great stories—or indeed the stories of any figure in history—you’re left with precisely the accounts of those people that we have in history. But remove the supernatural elements of the Jesus story, and you’re left with nothing. I’d like to make a final observation, this time a point made by Dr. Price. During the interrogation phase, White hammered Price, trying to pigeonhole him as someone with presuppositions. White asked: What would it take to show the Bible story true? My answer: God could make his presence known today and tell us so. But of course the Bible becomes irrelevant in that case, which makes you wonder why God couldn’t be as obvious as the sun right from the beginning. That wasn’t an option for White. He wanted to know what historical or archeological evidence would convince Price that the gospel story was true. Price said that he couldn’t imagine anything of this sort convincing him but that he was open to the possibility. Makes sense to me. When Christians dismiss claims of miracles made within some other guy’s religion but in our own time, how can they imagine that our scraps of evidence about Palestine 2000 years ago will support the vast weight of a miracle story? Our view of that time is like looking through a telescope backwards, giving far too little evidence to support the monumental claims of Christianity. Bob Price makes a brief comment on his impressions of this debate in his 12/1/10 Bible Geek podcast here (from 55:40 to 58:50). If you’re searching for the debate, it was held on 5/7/10 at the 2010 CRI (Christian Research Institute) National Conference in Innisbrook, Florida. This entry was posted in Christianity, Debate and tagged Alpha and Omega Ministries, Bible Geek, Consistency, Is the Bible True?, James White, Presuppositions, Robert Price, Supernatural by Bob Seidensticker. Bookmark the permalink.